Many enthusiasts bemoan the Ford Mustang as being a slave to tradition. Though technical advancements have creeped in over the years, it remains a V8 powered live axle secretary's muscle car. The Porsche 911 is even more adherent to it's stubborn rear-engined tradition. 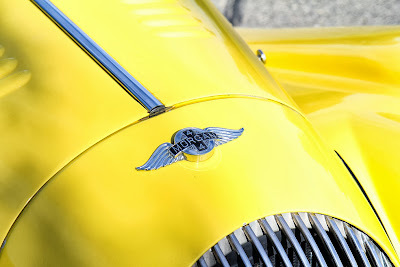 Well the Mustang and 911 have nothing on today's featured roadster. 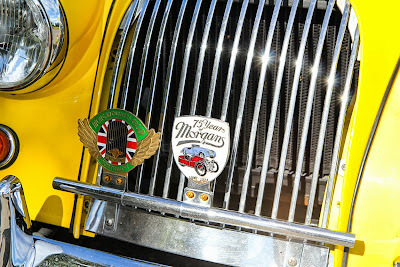 Today we have a Morgan 4/4 in a very non-British yellow. 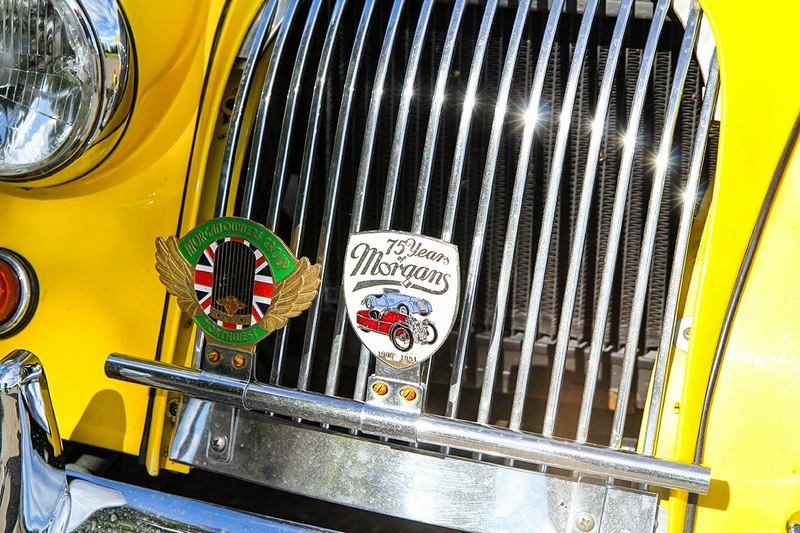 The Morgan 4/4 was introduced in 1936 and got it's name for having four wheels powered by four cylinders. Naming conventions can't get much simpler and it certainly makes more sense than BMW's convoluted system. Morgan was and still is in the business of selling three-wheeled sports cars then as well. Sold in both two and four-seat configurations, an updated version of the 4/4 is actually still being sold today. Due to it's incredibly long 77-year production run with minimal exterior changes, positively identifying a Morgan's year without looking under the hood is a challenging feat. We're going to tentatively ID this one as a 1968 judging by it's skinny tires, chrome bumpers and the style of the turn signal lights. 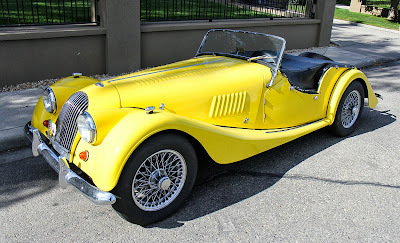 Morgan's are hardly common in North America but they have a dedicated following nonetheless. 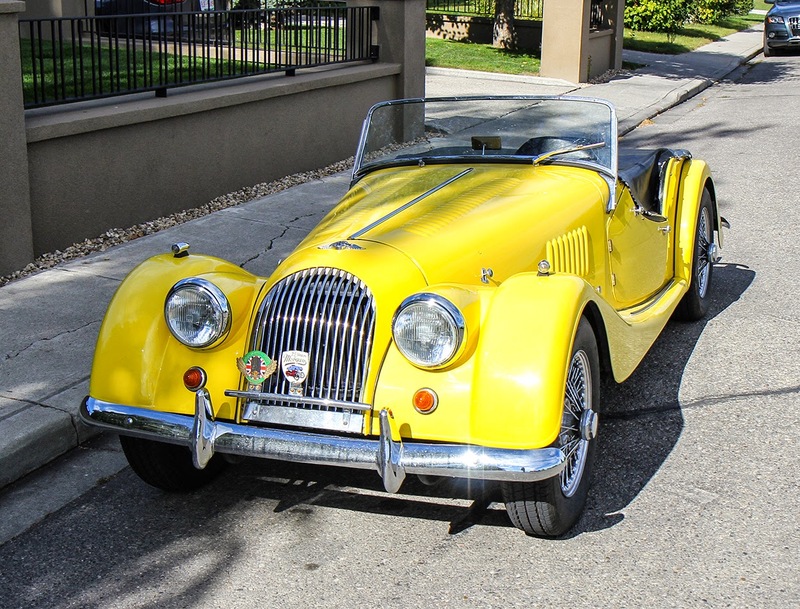 Morgan roadsters like this yellow 4/4 offer the quintessential classic English motoring experience. It also remains one of the few production cars where you can reach down and touch the pavement with your hand at stoplights due to the lack of glass side-windows and the low-cut doors. 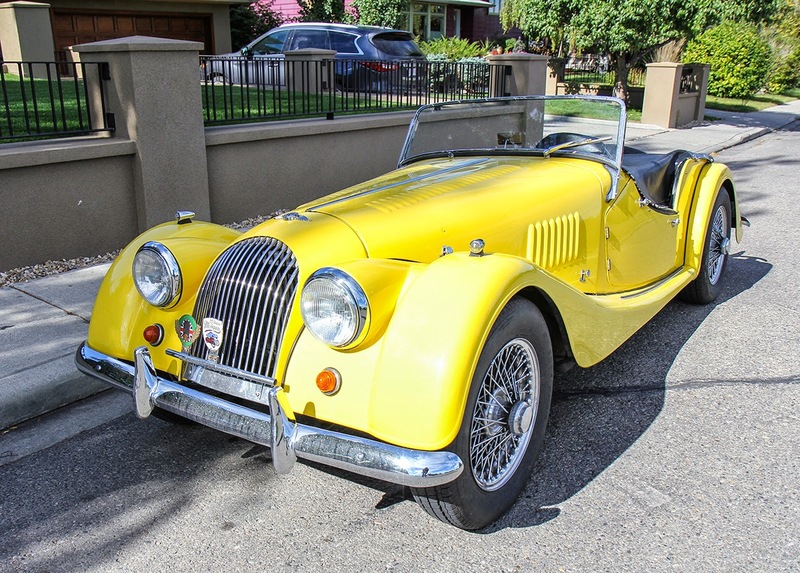 Modern Morgans range between V-twin powered three-wheelers and V8 powered supercars but there remains a charming simplicity to older models like these. Though hardly tire scorchers, there are few more pleasurable cars on a sunny autumn afternoon. All the above photographs were taken by Courtney Blatch, a SAIT Polytechnic Photojournalism student and were used with permission.